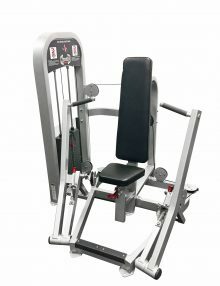 The Classic Line Seated Leg Press Machine MDC-1009 enables exercisers to target the major muscle groups in the legs. Heavy precision bearings create a smooth extension motion for users, and anatomically correct cam pulleys ensure that proper muscle resistance is exerted throughout. The sturdy appearance and rectangular tubing create a robust look along with high-level durability. 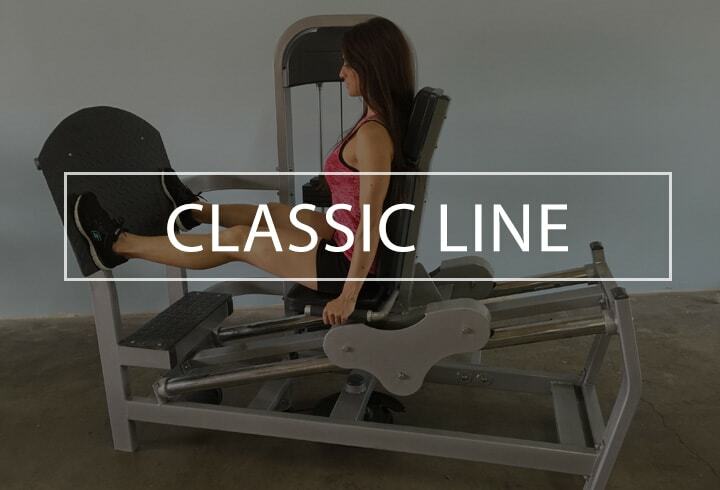 Classic Line strength products all feature commercial grade steel and top-quality materials, so you can be confident in the longevity of our equipment. This level of attention to detail is a hallmark of Muscle D Fitness and is something you’ll experience at every single touch point of the client journey. SKU: MDC-1009. Category: Classic Line. 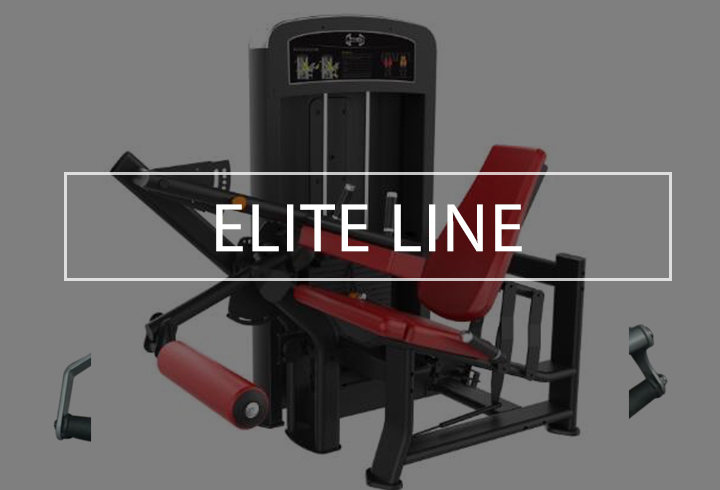 Designed to train the major muscle groups in the leg, including the quadriceps, gluteus maximus, and hamstrings. Anatomically correct cam pulley delivers the ideal level of muscle resistance throughout the entire press motion. Adjustable sled facilitates pre-stretch positions, and the wide foot platform makes it possible to train different thigh muscles. Quick locking handle aids simple and easy sled adjustments. Heavy precision bearings and smooth rollers on hardened guide rods create a fluid movement action. Magnetic selection pin ensures weight stack adjustments are quick and simple. 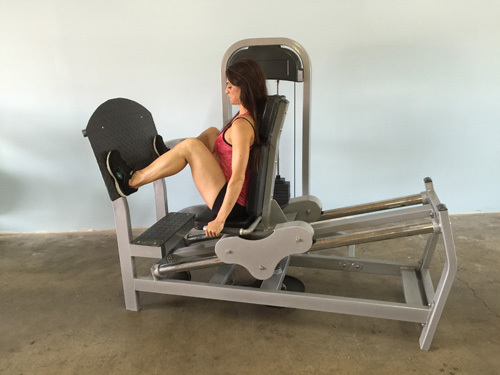 The seated leg press targets major muscles groups of the leg, including the quadriceps, gluteus maximus (glutes), and hamstrings. Since these muscles are used for walking, running, and moving between standing and seated positions, it’s crucial that they’re trained consistently. If performed incorrectly, excessive levels of strain are exerted on the knee joints or lower back. 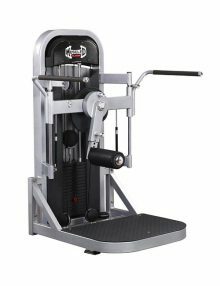 However our Seated Leg Press Machine combines a wide foot grip with adjustable sled to create biomechanically accurate movements. This means that leg muscles are precisely and maximally activated, so that the movement is more effective and results are achieved faster. The anatomically correct cam pulley helps to exert the proper muscle resistance from the beginning of the extension motion to the very end. 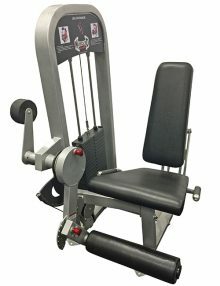 The leg press is simple to alter for members of different sizes and those with varied training needs. 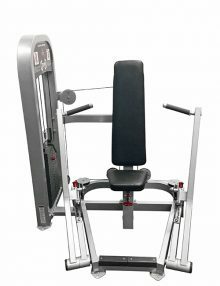 It features an adjustable sled which not only facilitates pre-stretch positions, but accommodates exercisers of all different heights. This means that the muscles are maximally activated without excessive strain being placed on the knee. Some new or inexperienced gym members can find strength exercises intimidating or confusing. 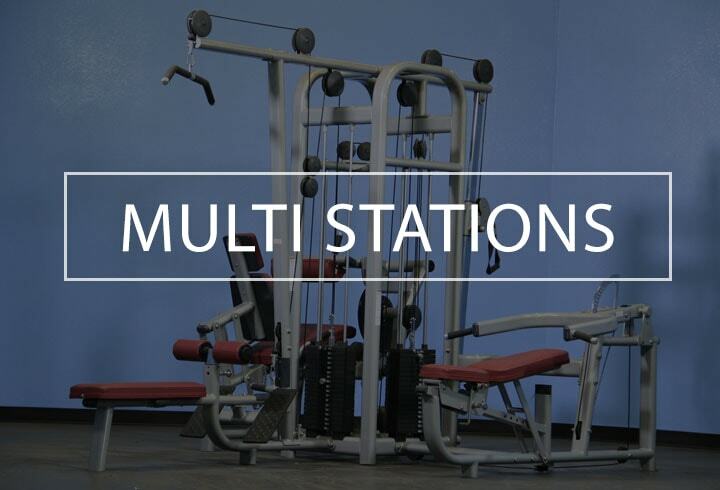 Our selectorized units address this potential concern since they’re simple to set up (as well as easy to use). Smooth rollers on hardened guide rods combined with heavy precision bearings create a fluid extension or ‘press’ movement. This means users experience a more enjoyable workout, and enables them to focus on perfecting their exercise technique (instead of the machine movement itself). The unit also includes an instructional placard that illustrates exactly how to perform a leg press motion correctly. A magnetic weight increment pin makes it simple to make stack adjustments on the go. 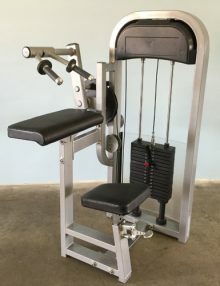 If you’re considering whether to purchase a seated leg press machine for sale, then the Muscle D Fitness option should be top of your list. The guided motion combined with ease of use ensure that it’s a popular unit amongst new starters and strength experts alike. 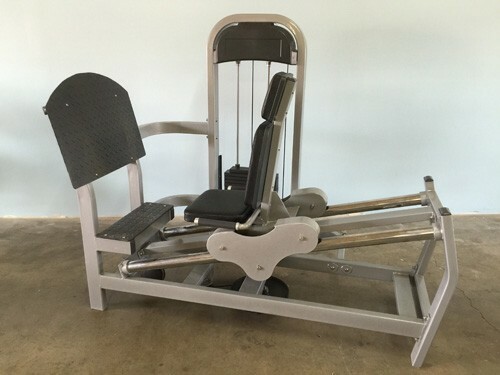 If you have any questions about our leg press machine or anything else from our range of products then feel free to get in touch using our contact form. 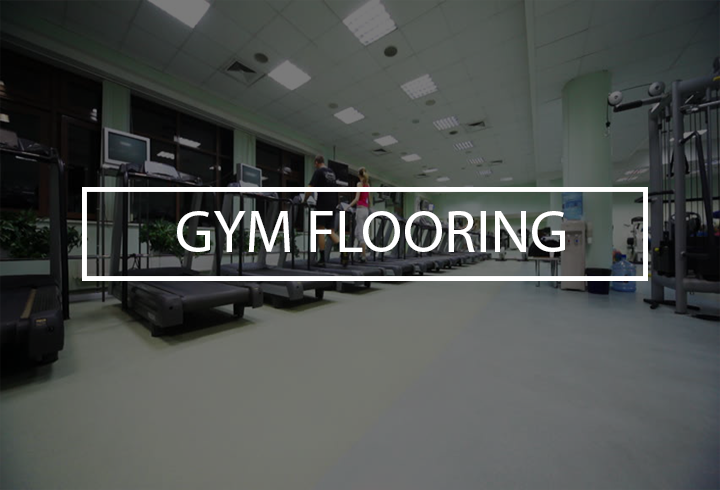 Our team of specialists have over 100 years of combined fitness experience and can answer any queries you may have.